Join us for a day exploring many of New Haven's private, community and school gardens, with a particular emphasis on vegetable gardens, edibles in the landscape, city poultry, and other aspects of agriculture found in New Haven. This is self-guided tour and you may visit as many of the gardens as you wish. For more information, please call 783-3307. Aiki Farms will host ED BEGLEY JR. Speakers: Featured speaker Bill Duesing, Executive Director of CTNOFA, will entertain us with a talk about soil. Melina Shannon-DiPietro, director of the Yale Sustainable Food Project, will briefly describe the project. Lunch: A generous portion of minestrone made with local ingredients by Zinc chef, Denise Appel, and desserts by the Conservation Committee. Bring more to eat if you like. More: Sources of locally grown seeds, seedlings, plants and trees, places to buy local farm produce, and restaurants, like Zinc, using locally produced products. Students from Common Ground High School will be selling seedlings and other items, such as maple syrup. Reserve Your Place: Contact, Mikey Hirschoff (mhirschoff@comcast.net) or call 203.393.2214 by April 8 to reserve a place, then mail check to Mikey Hirschoff, 392 Sperry Road, Bethany, CT 06524 by April 21. When: 10 am until 2 pm. Learn to prepare soil, what varieties for our climate, to maintain plants, harvest tips and pest ID/control. Learn the basic principles of design including assessing a site, basic design considerations, and choosing plants. UConn Home and Garden Education Center. Interested in starting a new organic garden at home? Wondering how to identify and control invasive species on your property? Want to start a composting system at home to turn yard waste into organic, free fertilizer, but not sure how to get started? Ever wondered how to bring more birds to your property? The event, organized by Friends of Boulder Knoll, is free and open to everyone in Cheshire and surrounding towns. 3:00: Bob Giddings, D.V.M, a local veterinarian specializing in birds at the Kensington Bird and Animal Hospital, will conclude the event with a discussion of the birds of Boulder Knoll, and how to garden and maintain property to attract native birds. Additionally, UConn Master Gardeners will answer questions regarding your garden, trees, or lawn. Members of Friends of Boulder Knoll will also give tours of their new garden at Boulder Knoll Farm, and discuss plans for the future. Come to this free event and see the Boulder Knoll Farm up close. The farm is located at 866 Boulder Road in Cheshire, a half mile from the intersection of Boulder Road, Coleman Road and Half Moon Road. Look for the registration tent and parking next to the barn. Bring a chair! Class and field trips – great local speakers. Permaculture: design principles for living more sustainability, within local resources, cooperating with Nature's designs, realizing joy and abundance in the process. Course: beginner or pro through Intro, Principles, Fundamentals of soil, water, climate, garden/farm, trees/orchard, urban/rural, etc., and a Design Workshop to produce your own design. Life/world changing. Get your very own garden plot. Call 854-7806 for more information. 2008 Connecticut Community Gardening Conference. $15 regular admission, $9 students and seniors. 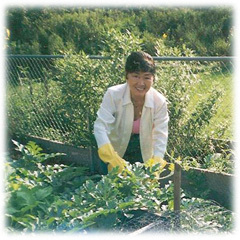 Dr. Klett will speak on the topic of Living Nutrition and the Biodynamic Farm: Cultivating a Truly Local Agriculture. What is biodynamic agriculture? How do biodynamic methods enhance food quality? How can agriculture help to build community? Networking, light refreshments, election of officers and directors, and a presentation: Community Gardening in Connecticut starting at 6:00 pm. To whom do we address the letter? Proceeds to benefit the Knox Parks Foundation. June 16th after the CT Community Gardening Conference and before the U.S. debut of Giselle by The State Ballet of Georgia, there will be an International Wine Tasting from 5:00 to 7:00pm in New Haven at historic Wooster Square. Tickets $30.00 per person. All proceeds to benefit CT community gardens. Details, call 203-624-6737 or email cordalie.benoit@aya.yale.edu or attend the conference and buy tickets then. Connecticut's Beardsley Zoo is cooperation with Bridgeport Community Land Trust presents the first annual Connecticut Urban Ecology Conference "Food, Culture & Sustainable Garden Design"